Many moons ago, a light bulb illuminated in the RevZilla brain trust. Our customers are buying gear online, with only text and images as a guideline; we thought, why not do detailed video product reviews as another helpful tool for our loyal RevZillains? A few days later, RevZillaTV was born. And the REV'IT! 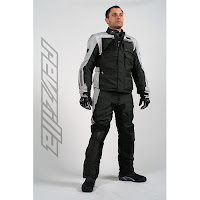 Cayenne Pro Jacket & Pants was the very first product we featured eight long months ago. The audio was terrible, the resolution was brutal, and the guy on camera was freestyling it handheld-style. It was bad. But it was a big the first step for us. Seeing as this outfit is the most bomb-proof, weatherproof, all-season monster of ADV Touring, we felt the onus of giving it due justice with our new and wildly-improved production quality. With no further adieu, I present the REV'IT! 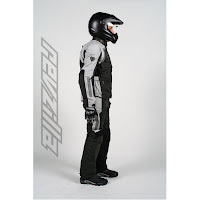 Cayenne Pro Jacket & Pants RevZilla video review, parts I & II, in glorious HD. The videos speak for themselves. Some highlights from customer reviews for this REV'IT! beast at RevZilla: "excellent" "rugged" "liner is incredible" "a truly remarkable jacket" "very well designed" "outstanding!" "an amazing jacket." If you don't want to take my word for it, I understand. Have a look at the two in-depth review videos for application, features, fit and an in-depth liner and armor breakdown. I promise you will be nothing short of astounded. 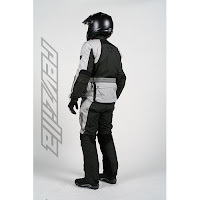 Check out other textile jackets and textile pants options over at RevZilla.com.